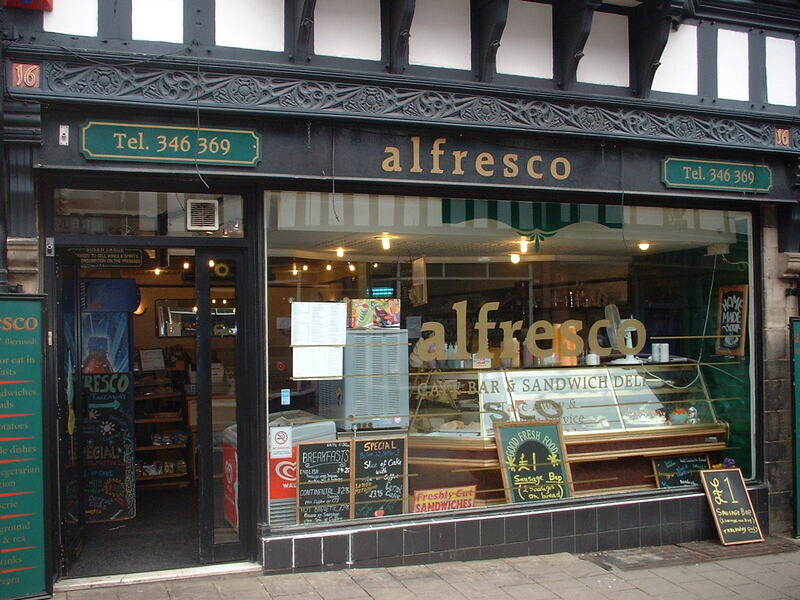 Alfresco Chester is a coffee shop serving the local area. They provide coffee and tea, The address for Alfresco coffee shop is 16 St. Werburgh Street. Delightful place for lunch - We stop in here every time we visit Chester. Its just right balance for something to eat thats not too heavy. Always lovely. Feel strongly about this business? Want to add a review of Alfresco Chester? Submit a Alfresco Chester review and contribute to the directory of recommended Coffee & Tea in Chester. If Alfresco Chester is your business, why not claim it today! Business owners who claim a business can easily add new tags, photos and update their listing.